CREEPYPASTA.COM is a collection of various paranormal/scary short stories. I didn’t write any of these; many of them were anonymously published on the 4chan imageboards. Eventually, the site began accepting direct submissions, and now we only post content that has been sent to us by its author. If you would like to submit your own creepypasta to be archived here, we will be more than happy to credit you when we post it. 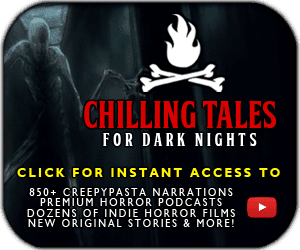 This website exists as an archive of our personal favorite creepy stories; while a few other collections of “creepypasta” exist, we wanted to try and make a more comprehensive collection that would be searchable and easy to navigate. TO SUBMIT A CREEPYPASTA – Fill out this cute little form over here. EVERYTHING ELSE – Use the new Creepypasta Forum or Contact Us form!